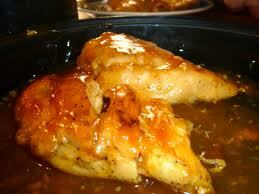 Combine orange juice, lemon juice, salt, garlic and chili peppers in a container large enough to hold the breast. Add chicken breast and marinate overnight, turning once or twice. Place chicken on a rack in a roasting pan and pour 1 cup of the marinade in the pan. 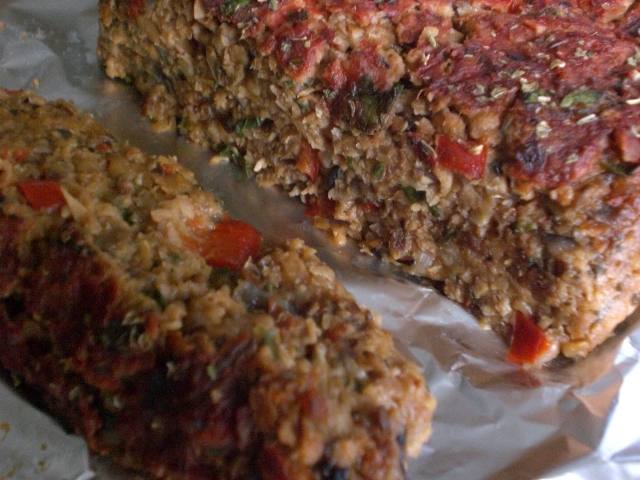 Bake uncovered 45 minutes or until a meat thermometer registers 165 degrees. In a small bowl, combine the preserves and mustard. Brush the glaze over the breast during the final 15 minutes of cooking. 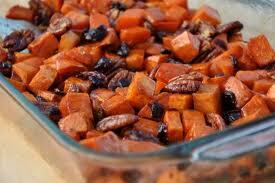 Place yams, garlic and pecans in a large bowl. Whisk together oil and seasonings; pour mixture over potatoes and mix thoroughly by hand. Place potatoes on a sheet pan and bake 45 minutes. Half way through cooking time, gently mix potatoes with a spatula and continue cooking. Place potatoes on on a sheet pan and bake 45 minutes. Half way through cooking time, gently mix potatoes with a spatula and continue cooking. Another great thing about Fall is all the fun vegetables that are in season. 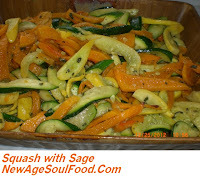 I hope this isn't going to be a blog about squash. 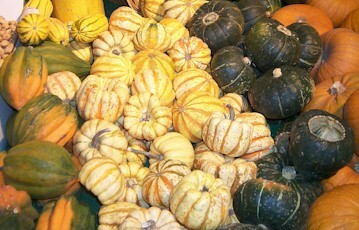 Contrary to popular belief, squash is available year round even though we have terms like summer and winter squash. So we're really going to talk about squash? It's plentiful in the grocery store right now. Lots of people look at them and would like to try them out, but don't really have any ideas. So why not talk about squash? You spend my whole childhood making me eat squishy squash and now you're surprised that I don't want to eat, try, smell or write about it? I'm sorry for traumatizing you. But can't a mother evolve? These are fabulous recipes that even the 8 year old brat in you can appreciate. Fine. I'm sure these fine folks reading will appreciate them. And next week. . . BRUSEL SPROUTS? Very funny, Ma. No really. Very funny. 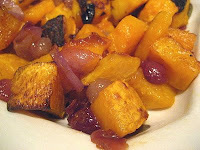 And I must admit when not cooked to a squish, your squash dishes are pretty darn good. Enjoy folks! 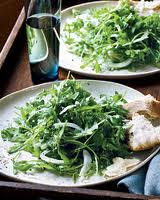 Thoroughly combine olive oil, juices, seasonings and cilantro in a large bowl with a cover. 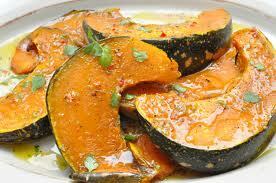 Place pumpkin slices in mixture, cover and let it marinate a few hours or overnight in the refrigerator. Drain marinade and reserve. Place pumpkin on a sheet pan with space between the pieces. Use an additional pan if needed. 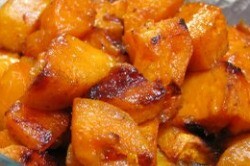 Heat reserved marinade and pour over pumpkin before serving. It's time for Sunday dinner! I figure since Thanksgiving is almost a month away, it's time to start practicing. That's right. You do not want to wait until Thanksgiving dinner to break out new recipes. Nor do you want to ruin traditional ones. 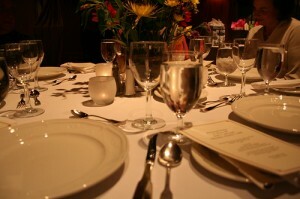 So do what Mom always did, slowly add in some new dishes, see how they turn out and how the family reacts. When you get a winner, it gets added to the menu. You say that like it is soooo easy. You NEVER wanted any dish changed or added to Thanksgiving. You liked the same thing year after year. That's true. BUT a dish has to be phenomenal to qualify for a holiday dinner. Remember when you pulled out that spinach roll and the squash casserole? The family still talks about them. Those were winners and worthy. Oh yes! Well we've added a couple of winners for you to test with your family. 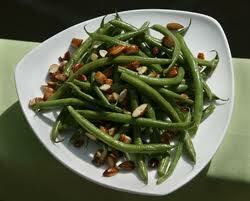 The green beans almandine is simple, yet scrumptious. 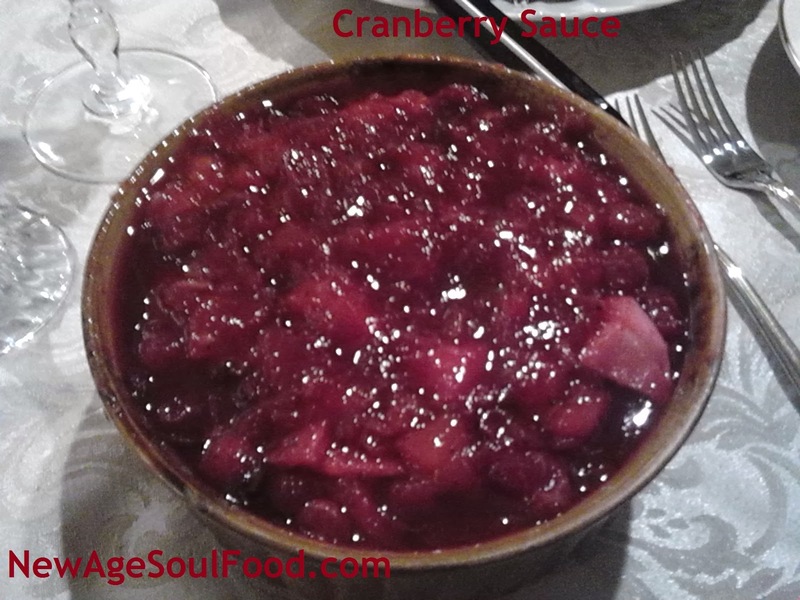 And once you try our homemade cranberry sauce, you'll never eat the goop in the can ever again. Oh and the recipe is so easy your kids can make it. In a medium skillet, add the olive oil, onions, chopped garlic and the remaining bay leaf, fennel and ½ teaspoon salt. Sauté until onions are opaque. Do not let them brown. Ma, I really don't like this time of year. I start getting all nestled up in the house. I want to eat chicken pot pies or meatloaf and mashed potatoes - comfort foods. You know, that's part of the problem with the mindset of dieters. People think its all or nothing. Either you're eating celery sticks and working out 3 times a day or you're binging on McDonalds. Tell me about it. I learned a long time ago that most "diets" can't be maintained for any length of time and the more you deny yourself chocolate cake, the more you want it. Exactly. And the truth is there's always a way to make a dish healthier. 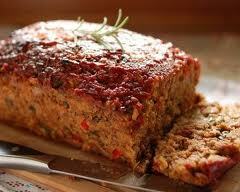 You loved meatloaf as a child, but I haven't seen you touch it in ages. 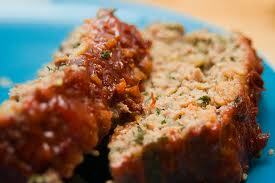 What's unhealthy about meatloaf? All the butter imma put on the mashed potatoes that I eat with it. You're so silly. Instead of ground beef or pork, I'll use some extra lean turkey in yours. Thanks for the reminder, Ma. It isn't all or nothing. We can choose to have a baked potato with butter and leave off the sour cream and cheese. 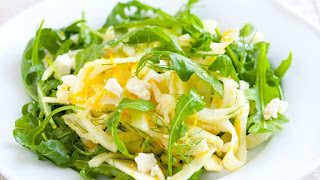 Often times simple adjustments like that make all the difference in whether or not a dish is healthy. With that in mind, eat your mealoaf. It's good for you. As long as you don't drown it in ketchup! Note:Ground turkey is very bland and requires a lot of seasoning, that is why we are going to season it and let it sit overnight. Place mushrooms in a large bowl with a cover. Pour in 3 cups of cold water, cover, refrigerate and let them rehydrate overnight. 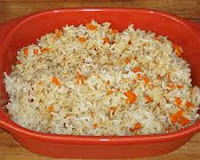 Place the TVP in a large bowl with a cover. Mix in 1 teaspoon salt and the granulated garlic, granulated onion, oregano, thyme, tamari, 1 teaspoon adobo sauce and 2 cups water. Mix thoroughly, cover and let mixture rehydrate overnight in the refrigerator. Drain mushrooms, using a wooden spoon, mash out the excess liquid and reserve liquid for future use as a mushroom/vegetable broth***. 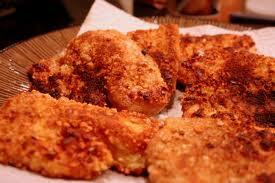 Finely chop mushrooms with a knife or in a food processor. Transfer them to a bowl, then refrigerate until ready to use. Using a mesh strainer, drain TVP mixture, mashing out as much liquid as possible. Place strainer over a bowl and refrigerate mixture until ready to use. In a large sauté pan, add the oil, onions, garlic, bell pepper and sauté 3 minutes. Add the chipotle pepper, mushrooms, 1 teaspoon salt and ¼ cup tomato sauce, mix thoroughly and continue sautéing until all liquid is absorbed and mixture browns slightly. Remove pan from the stove and let mixture cool down for approximately 15 minutes. Check the TVP mixture 1 last time to make sure as much liquid as possible has been removed. Transfer mixture to a large bowl; add 3 tablespoons of tomato sauce and the mushroom mixture then mix thoroughly. Add the flour and mix by hand until flour is distributed throughout the mixture. Lightly spray or wipe a loaf pan with oil. Transfer mixture to the loaf pan and gently form it into shape, smoothing over the top. Spread 3 tablespoons of tomato sauce over the top of the loaf then sprinkle top lightly with oregano. Bake in a 350 degree oven 1 hour. Remove pan from oven and let loaf rest for 10 minutes before removing it from the pan. */**Purchase a small can of chipotle peppers in adobo sauce. They are smoked jalapeno peppers in a Mexican sauce. They can be found in the ethnic section of many supermarkets. Although this is a hot pepper and sauce, the quantity being used is just enough to add flavor and not heat. If you’re expecting heat, use 2 peppers. ***Broth can be refrigerated in a storage container for 2 weeks or frozen in freezer container up to 6 months. This broth is excellent in rice and pasta dishes.